Thank you for visiting the NAMI Flagstaff website. This website is designed to make it easier and more efficient for individuals and businesses to interact with us. NAMI Flagstaff recognizes that it is critical for individuals and businesses to be confident that their privacy is protected when they visit our website. For purposes of this policy, "personal information" means any information concerning a natural person which, because of name, number, symbol, mark, or other identifier, can be used to identify that natural person. NAMI Flagstaff does not collect any personal information about you unless you provide that information voluntarily by sending an e-mail or by initiating an online transaction, such as a survey, registration or order form. User client hostname - The hostname or Internet Protocol address of the user requesting access to any agency website. HTTP Header, "user agent" - The user agent information includes the type of browser, its version, and the operating system on which that the browser is running. HTTP header, "referrer" - The referrer specifies the web page from which the user accessed the current webpage. System date - The date and time of the user's request. Full request - The exact request the user made. Status - The status code the server returned to the user. Content length - The content length, in bytes, of any document sent to the user. Universal Resource Identifier (URL) - The location of a resource on the server. Protocol - The transport protocol and the version used. The information that is collected automatically is used to improve this website's content and to help NAMI Flagstaff to understand how users are interacting with the website. This information is collected for statistical analysis, to determine what information is of most and least interest to our users, and to improve the utility of the material available on the website. The information is not collected for commercial marketing purposes and NAMI Flagstaff is not authorized to sell or otherwise disclose the information collected from the website for commercial marketing purposes. If you wish, you may complete a registration to personalize this website and permit a "persistent cookie" to be stored on your computer hard drive. This persistent cookie will allow the website to recognize you when you visit again and tailor the information presented to you based on your needs and interests. NAMI Flagstaff does not use persistent cookies at this time, however, may introduce them in the future and use them only with your permission. The software and hardware you use to access the website allows you to refuse new cookies or delete existing cookies. Refusing or deleting these cookies may limit your ability to take advantage of some of this website. During your visit to this website you may send an e-mail to NAMI Flagstaff. Your email address and the contents of your message will be collected. The information collected is not limited to text characters and may include audio, video, and graphic information formats included in the message. Your e-mail address and information included in your message will be used to respond to you, to address issues you identify, to improve this website, or to forward your message to another State agency for appropriate action. Your e-mail address is not collected for commercial purposes and we are not authorized to sell or otherwise disclose your e-mail address for commercial purposes. During your visit to this website you may initiate a transaction such as a survey, registration, or order form. The information, including personal information, volunteered by you in initiating the transaction is used by NAMI Flagstaff to operate our programs, which may include the provision of goods, services, and information. The information collected by NAMI Flagstaff may be disclosed by us for those purposes that may be reasonably ascertained from the nature and terms of the transaction in connection with which the information was submitted. NAMI Flagstaff does not knowingly collect personal information from children or create profiles of children through this website. Users are cautioned, however, that the collection of personal information submitted in an E-mail will be treated as though it was submitted by an adult, and may, unless exempted from access by Federal or State law, be subject to public access. NAMI Flagstaff strongly encourages parents and teachers to be involved in children's Internet activities and to provide guidance whenever children are asked to provide personal information online. As noted above, NAMI Flagstaff does not collect any personal information about you during your visit to this website unless you provide that information voluntarily by sending an E-mail or initiating an online transaction such as a survey, registration, or order form. You may choose not to send us an E-mail, respond to a survey, or complete an order form. While your choice not to participate in these activities may limit your ability to receive specific services or products through this website, it will not prevent you from requesting services or products from us by other means and will not normally have an impact on your ability to take advantage of other features of the website, including browsing or downloading publicly available information. The collection of information through this website and the disclosure of that information are subject to the provisions of the Internet Security and Privacy Act. NAMI Flagstaff will only collect personal information through this website or disclose personal information collected through this website if the user has consented to the collection or disclosure of such personal information. The voluntary disclosure of personal information to NAMI Flagstaff for the purposes for which the user disclosed the information to us, as was reasonably ascertainable from the nature and terms of the disclosure. 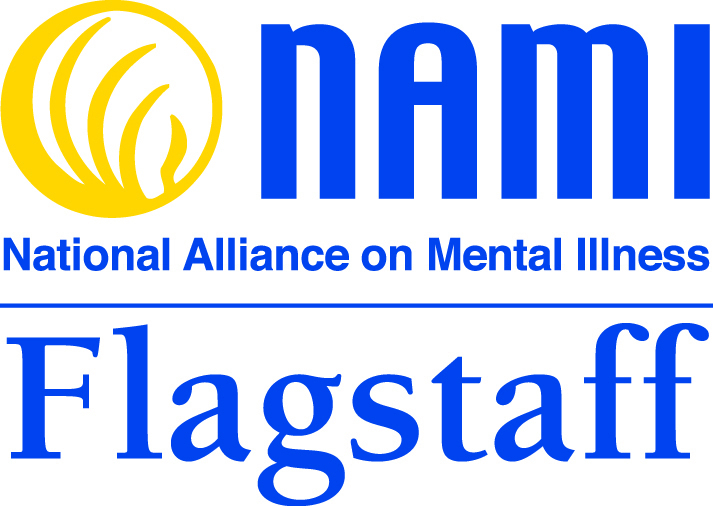 However, NAMI Flagstaff may collect or disclose personal information without user consent if the collection or disclosure is (1) necessary to perform the statutory duties of NAMI Flagstaff or necessary for us to operate a program authorized by law, or authorized by state or federal statute or regulations; (2) made pursuant to a court order or by law; (3) for the purpose of validating the identity of the user; or (4) of information to be used solely for statistical purposes that is in a form that cannot be used to identify any particular person. The disclosure of information, including personal information, collected through this website is subject to the provisions of the Freedom of Information Law and the Personal Protection Law. NAMI Flagstaff may disclose personal information to federal or state law enforcement authorities to enforce our rights against unauthorized access or attempted unauthorized access to our information technology assets. NAMI Flagstaff shall, within five (5) business days of the date of receipt of a proper request: (i) provide access to personal information; (ii) deny access in writing, explaining the reasons therefore, or (iii) acknowledge the receipt of the request in writing, stating the approximate date when the request will be granted or denied, which date shall not be more than thirty (30) days from the date of the acknowledgment. In the event that NAMI Flagstaff has collected personal information pertaining to a user through the agency website and that information is to be provided to the user pursuant to the user's request, NAMI Flagstaff shall inform the user of his or her right to request that the personal information be amended or corrected under the procedures set forth in Section 95 of the Public Officers Law. NAMI Flagstaff is strongly committed to protecting personal information collected through this website against unauthorized access, use, or disclosure. Consequently, NAMI Flagstaff limits employee access to personal information collected through this website to only those employees who need access to the information in the performance of their official duties. Employees who have access to this information are required to follow appropriate procedures in connection with any disclosures of personal information. In addition, NAMI Flagstaff has implemented procedures to safeguard the integrity of its information technology assets, including, but not limited to, authentication, monitoring, auditing, and encryption. These security procedures have been integrated into the design, implementation, and day-to-day operations of this website as part of our continuing commitment to the security of electronic content as well as the electronic transmission of information. For website security purposes and to maintain the availability of the website for all users, NAMI Flagstaff employs software to monitor traffic to identify unauthorized attempts to upload or change information or otherwise damage this website.